Better with time…Coffee percolates. Wine ferments. People need process. 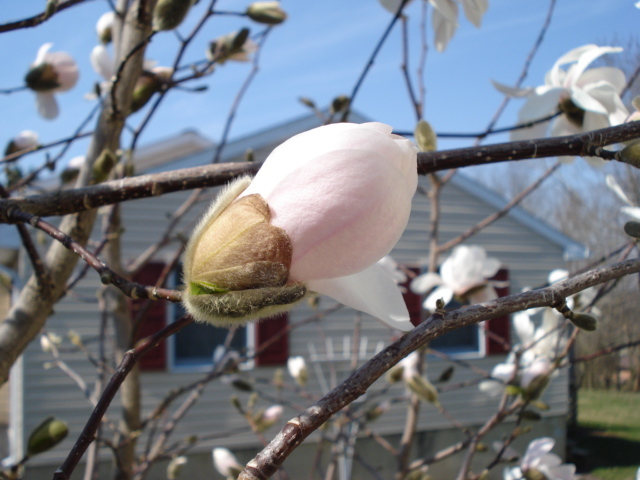 This is a bud from my Royal Star magnolia tree in my front yard. It takes a while before it blooms. It gives us time to change. God may have created the world in six 24-hour days, but He certainly took His time after that. Look how long it took for the Messiah to come. The prophet Isaiah had so many visions of God’s chosen servant, and he lived 450 years before Jesus came. The children of Israel lived in Egypt and were slaves after Joseph for about 400 years. What process are you in right now? My next post will talk about my writing process, and where I’m at.